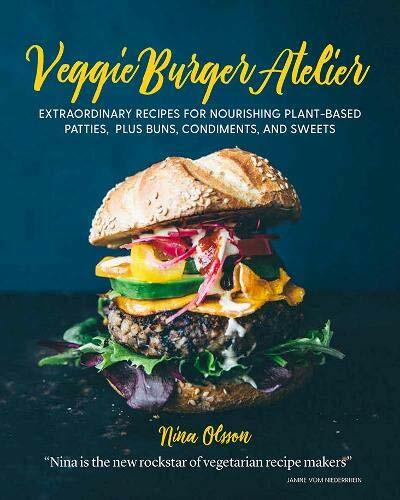 If you've been following me on Instagram, then you know I've developed quite the love affair with Veggie Burger Atelier by Nina Olsson. It's only $8.14 on Amazon right now. Talk about an underrated book! Yes, it's a vegetarian cookbook, not vegan, but she provides plenty of vegan options. The rest are things you can easily figure out substitutions yourself. I do have four suggestions if you do go buy this, or take it out of your local library. The first is to ignore all of the panko breadcrumbs listed in the ingredient section. It tends to be dry and not hold together that well when you use it. Instead, use vital wheat gluten . It gives it a much meatier feel and holds the burger together better. Secondly, do everything by weight. If you substitute panko for vital wheat gluten cup for cup, it'll be a disastor. You have to do it by weight. I feel like these recipes in general work better when you measure everything by weight. Third, all the ones that say to bake them are too squishy when you eat them. Add a little extra vital wheat gluten so it holds together better and then pan fry them. The texture is better this way. I always use my trusty cast iron pan, but that's up to you. Lastly, these recipes make gigantic burgers. I cut them in half and make three more normal size burgers. I think they cook better that way and are simply easier to eat. Sage, Kale and Butternut Squash Burger. 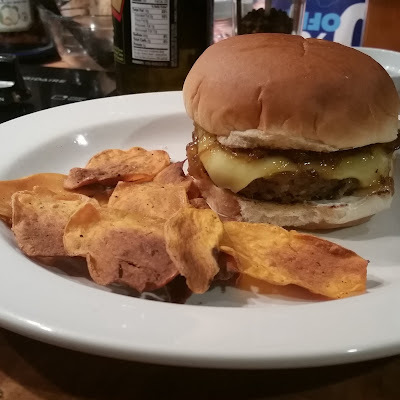 This is the first burger I made. Too squishy, but otherwise really good. I'd definitely use vital wheat gluten next time. Le Parisien. So good! Listen to her topping suggestions. They sound crazy, but they're great with every burger. I used Follow Your Heart Gouda in lieu of Gruyere cheese, Just Mayo, homemade peach jam and caramelized onions. It was the perfect mix of salty, sweet and sour. 'Shroom and Egg Burger. OMFG. This was my favorite out of the book. It would be a great brunch burger. There are a million ways to make a vegan egg, use what you like. 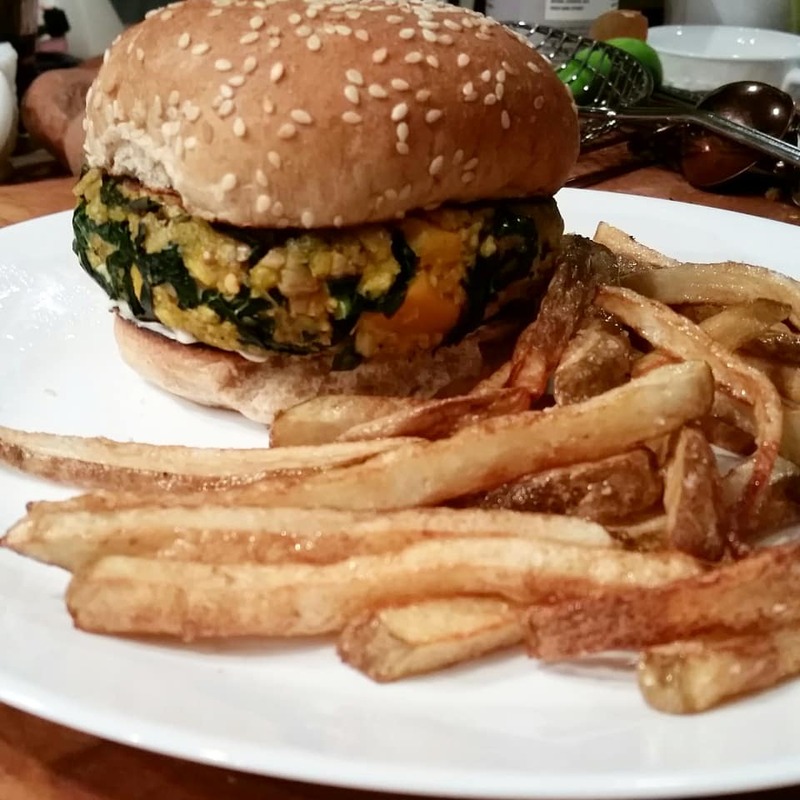 There are great vegan yolk recipes, but you can just use The Vegg Vegan Egg Yolk . Don't skip it, the yolk makes the burger. 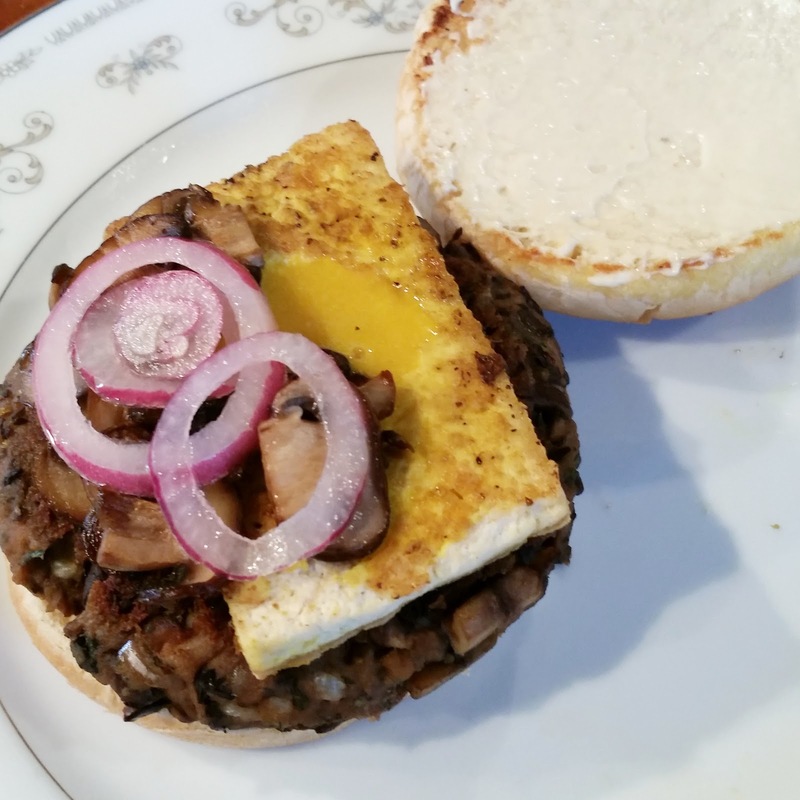 The Lahmacun Burger topped with cashew toum (my daughter is obsessed with this and forgoes cream cheese for toum on her bagel), red onions, lettuce, and a dollop of harissa. The Berlinger Burger served with homemade curry ketchup and homemade sauerkraut and potato wedges on the side. I wasn't sure about the kraut, but it all really went together so well. IS IT VEGAN-FRIENDLY? Yes, most definitely. There are some things she didn't provide a vegan option for like halloumi cheese, but really...you can google "vegan...whatever" and I'm sure you can figure something out. The bulk of the book is easily veganizable if it's not already vegan. WOULD I BUY IT? Yes, I did buy it! I cannot believe the success I've had with Veggie Burger Atelier. 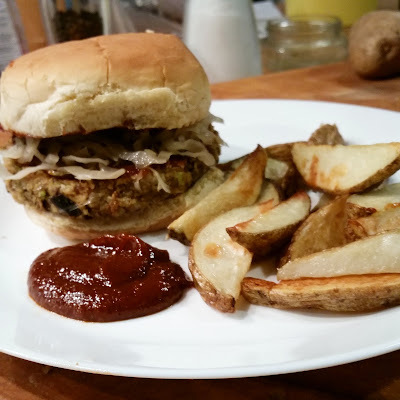 I can't believe how every recipe, including the condiment and side suggestions, have been so amazing! Granted the panko was a mistake, but whatever. Make a few tweeks and this book is well worth the money. 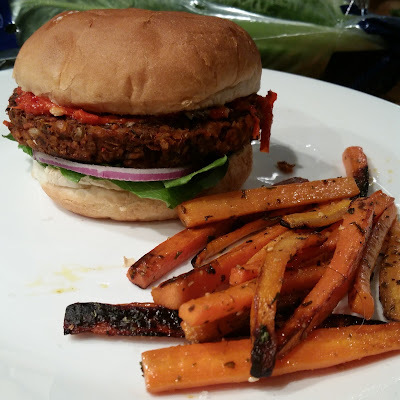 I love that I finally have some great options for veggie burgers that aren't the usual black bean or Beyond Burger. I highly recommend you check out this book.